When we look at the chaos around us, even the strange weather, we question where God is in all of this living. This weekend we’re expecting another snow, and many people are grumbling and wishing winter didn’t even exist. 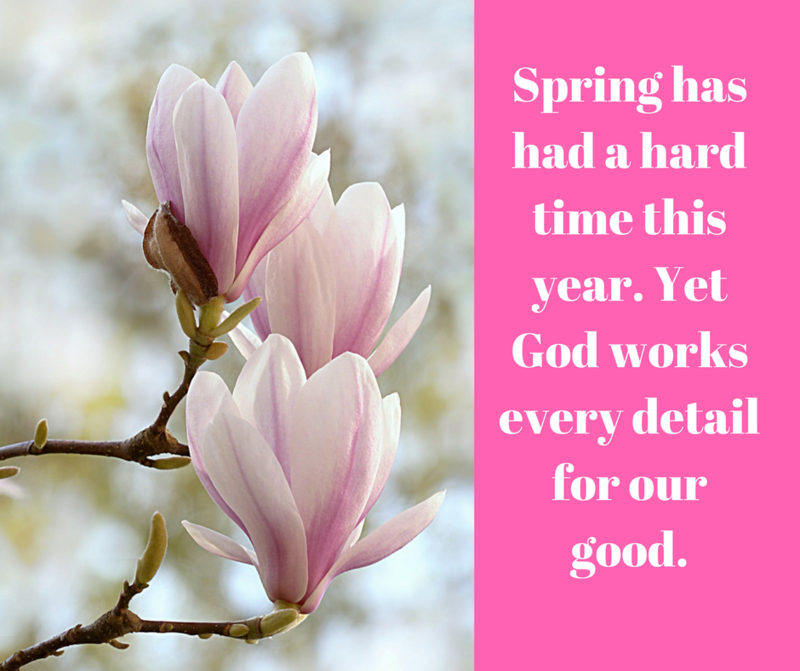 Yet, He’s there…He’s orchestrating all to our good. Have you had a bumpy week? Does all seem out of order? Trust Him today to direct even the small things in your life. What small things have you worried about this week but you saw God’s direct hand in dealing with them? Comment below.